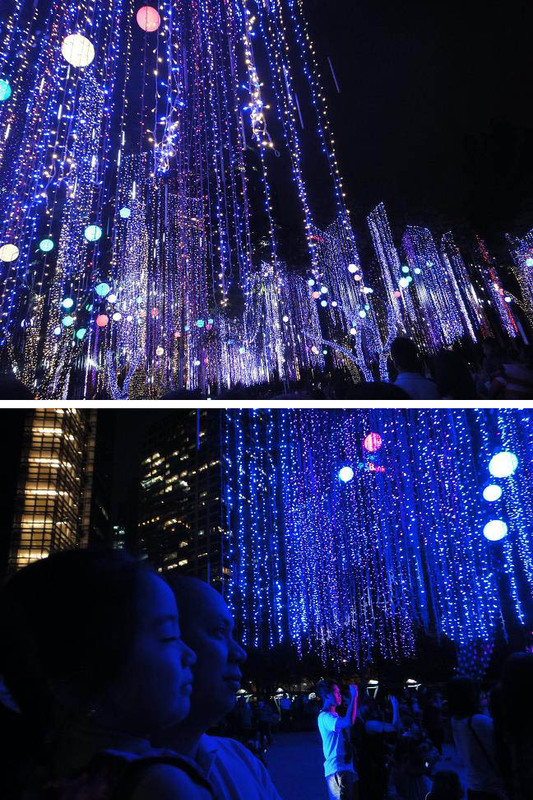 Friends and relatives of mine kept saying that we should watch the lights and sounds show in Ayala Triangle Park. My tito Dennis and tiya Nelia even invited us to go with them then spend the night in Cavite. A series of unfortunate events happen every time we schedule so I lost hope because I thought we will never get the chance to see it. I was elated when it was extended until the end of December! So when we got home after Christmas I pestered Henry to go to Makati (a place of extreme dread for Henry because of its one way streets and ever bibo traffic enforcers). As expected, we got lost finding a parking slot. When we had decided to postpone it, I saw the mall where we were supposed to park! Talk about good luck! So we parked, crossed the street through the underground pedestrian, and found ourselves basking in the experience of the amazing show. 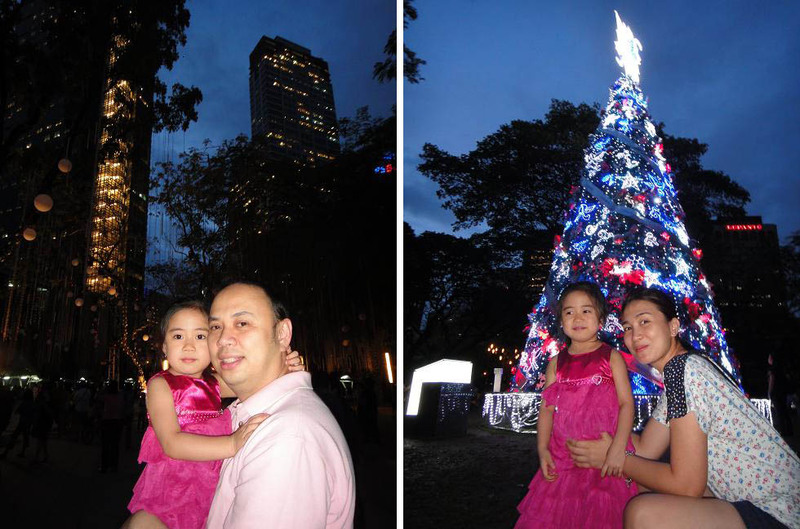 The buildings of Makati as background for Henry and Iya and the Makati Stock Exchange arch. We wouldn’t want to miss having a photo with the Christmas tree.